With so much interest in Apple as a company and in their product ranges, it really shouldn’t come as a surprise anymore that new introductions and range refreshes can’t really sneak in under the radar. 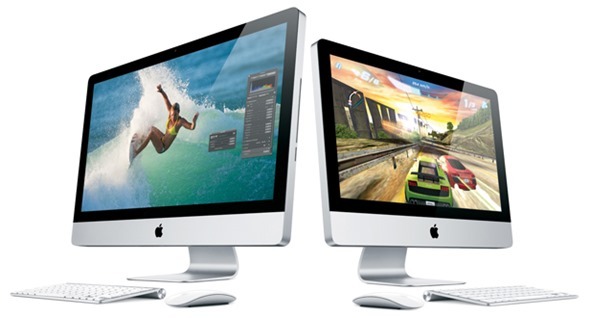 With that said, the latest Apple rumor relates to their iMac range and focuses on the speculation that the company could be introducing the Ivy Bridge powered machines in June or July of this year. Although Apple have made no official announcement regarding the specifications of the new desktops, it has been widely reported in the last week or so that the popular desktop machines will run on Intel Core i5 and i7 processors, reportedly the Intel 22-nanometer Ivy Bridge. If you have been seeing headlines dotted around the net that refers to Apple, Macs and Ivy Bridge then no longer shall you be confused as this is what they are referring to. The June or July release of an updated iMac line could follow promptly on the back of Apple introducing a new MacBook Pro range, with the 15-inch model getting the treatment first, followed by the small 13-inch model. Both are predicted to be powered by Intel’s new Ivy Bridge CPU range and could be available in the next few months. Other than the expected Ivy Bridge processors, it remains somewhat of a mystery what Apple will actually include with this Mac refresh. Recent reports have suggested that the Cupertino company will implement anti-reflective glass displays into the 2012 iMacs, manufactured by G-Tech, which is something they have offered in the past on custom build to order options for MacBooks. 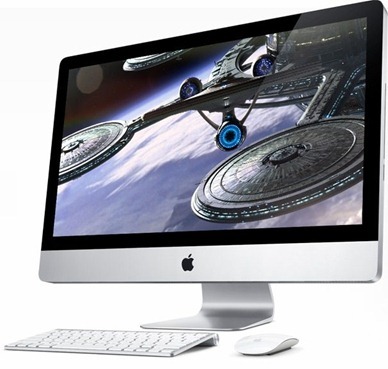 It remains a very likely possibility that Apple will take this opportunity to show off a redesign of the iMac hardware. The last major design changes came in 2009, meaning that the time is right for the Apple designers to flex their muscles and show off some new form factors. The company previously updated their iMacs almost twelve months ago, in May of 2011 when they introduced HD FaceTime cameras and Thunderbolt ports. With Intel set to launch their Ivy Bridge range of processors toward the end of this month, the rumored June/July launch date for the new iMacs seems extremely feasible. It will be exciting to see what unfolds in the coming weeks in terms of design and features.